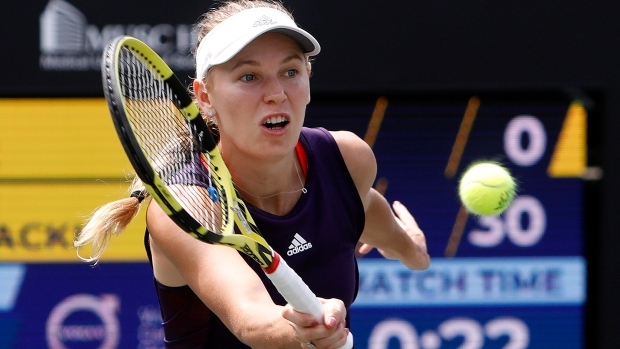 The fifth-seeded Wozniacki advanced with a 6-3, 6-4 victory over No. 16 seed Petra Martic of Croatia. The eighth-seeded Keys outlasted Monica Puig of Puerto Rico 6-4, 6-0, winning eight of the final nine games following a 70-minute rain delay at the season's first clay-court tournament.